This is the easiest DIY ever! 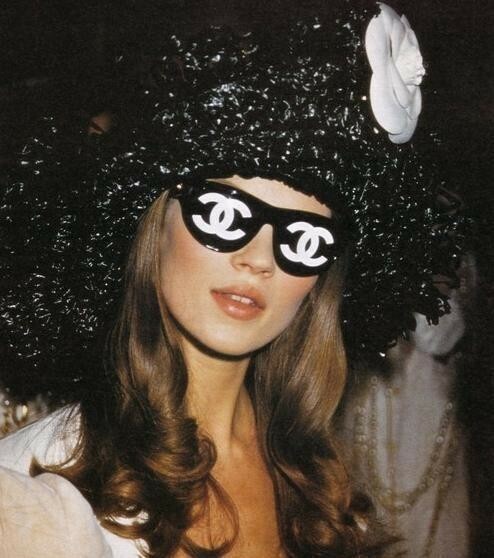 I have had this image on my desktop for ages and Im loving these Chanel glasses. I decided to get crafty and make a pair of my own. This is the easiest DIY ever! 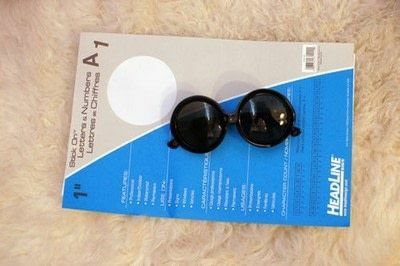 What you will need is a pair of black sunglasses and white sticker letters. Peel off four of the "C" stickers and place them backwards. One minute later you have your own Chanel inspired glasses! Surprisingly you can see pretty normal out of them! I used round glasses they kinda make me look like a bug but you get the point! Im thinking rayban style would look better. haha, they look really nice. 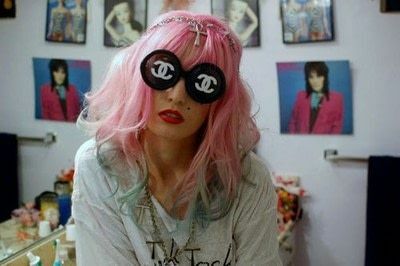 I'd use them as a necklace, that's what I do with my diy mock chanel shades as well. wouldn't think they would be very practical! but they look awesome! I'm guessing that you can see past them, like having hair in your face ... unless you have one eye. How will you see with those letters on the way??? ?